I wasn't standing on the corner. Instead, I sat in the back of a Columbia, South Carolina, Barnes & Noble in a writers' group known by the somewhat warped name, Twisted Scribes (which was an accurate description for some of us). Not particularly interested, my mind replayed those opening lines to the old song "Stagger Lee" and wandered to that bright moon outside, the falling leaves, and the crisp premature bite of frost in the air. I glanced toward the front of the building, and my eyes settled on a young woman sitting at a card table near the door, a stack of mass market paperbacks by her side. Fran and her son Adam with signings. Barnes & Noble was practically empty that night ten years ago. (Gee, I could have opened this with Ten years ago, on a cold, dark night from "Long Black Veil.") Perhaps the sudden autumn cold snap kept people at home, but the Twisted Scribes, B&N employees, and that lady at the signing table were the only ones in the store. When the meeting finally ended, I stopped by and bought a book. I thought I was doing her a favor. After all, the place was virtually empty. Little did I know who would be giving and who would be receiving favors. The writer was Gwen Hunter, who became my mentor in all things writing. I also learned a lot of other things from her. 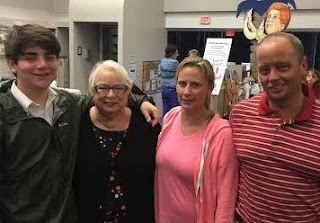 Examples: Reaching out (verbally, not physically) to passers-by at book signings, presenting a small gift with each book purchased (I've given away hundreds, maybe a thousand, Moon Pies), and sharing information individually as well as in groups. 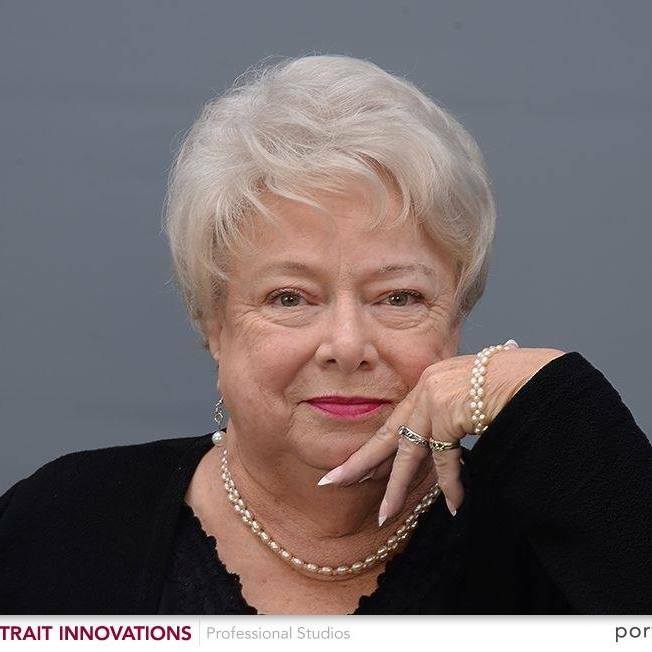 While attending several workshops, long before the expression became popular, I watched Gwen Hunter pay it forward repeatedly. Skip a few years during which mystery-writer Gwen Hunter became Faith Hunter, New York Times Best-Seller author of urban fantasy including the Jane Yellowrock series. 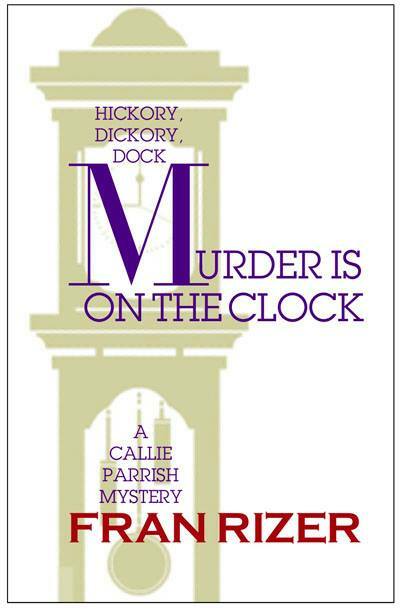 While not climbing anywhere nearly so high on the literary mountain as Hunter has, I signed with an agent, and my tenth book, the eighth Callie Parrish mystery, is scheduled for publication in September, 2016. Through the years, I've tried to follow Faith Hunter's example by helping other aspiring writers in whatever way possible. Three years ago, Richard D. Laudenslager and I met through a mutual friend while working on a ghost anthology for South Carolina Screams Project. I was immediately struck with Laudenslager's talent, perseverance, and eagerness to learn more about the craft though he had a way with words, a wealth of ideas, and was a great detail man--a first reader who spotted discrepancies with unbelievable accuracy and speed. A mentor/mentee relationship formed and, as had happened with Hunter and me, it developed into friendship as well. Laudenslager was writing Wounded, a political thriller, and I had completed KUDZU RIVER-A Novel of Abuse, Murder, and Retribution (which is as different from my previously published Callie Parrish mysteries as a shark is from a guppy) and begun True Haunting of Julie Bates. Our weekly lunches became less mentorish and more just two writers discussing current projects, trends in the publishing world, and what we planned to do next. Meanwhile, the editor and publisher of the Screams anthology changed the concept of that book before contracts were issued. I withdrew from South Carolina Screams Project even though I had been half of the founding partnership. I also notified the writers I had personally invited to submit stories that I was no longer associated with the group or the book. Meanwhile, back at the ranch … (only kidding, it was back at B&N and other signing locations), Laudenslager began assisting me. Somewhere along that road, we tossed around the idea of publishing a collection of ghost stories written by the two of us. We pitched the idea to Darren Foster at Odyssey South Publishing. He jumped on it. Laudenslager and I had reached approximately two-hundred book pages when he suggested, "What if we include a couple of the stories from writers who withdrew because you resigned from Screams?" Nathan's first published story appears in the ghost collection. I learned to pay it forward from Gwen Hunter/Faith Hunter, mystery/fantasy author. The idea is to assist others with no thought of personal gain, but paying it forward benefited me, leading to a new book and into yet another genre. (What can I say? Just call me Fickle Fran). It also resulted in Laudenslager helping me as much or more than I do him. In addition to keen insight into plotting and discrepancies, he's a whiz with all things electronic while I still treat my computer as a glorified typewriter with an automatic eraser. 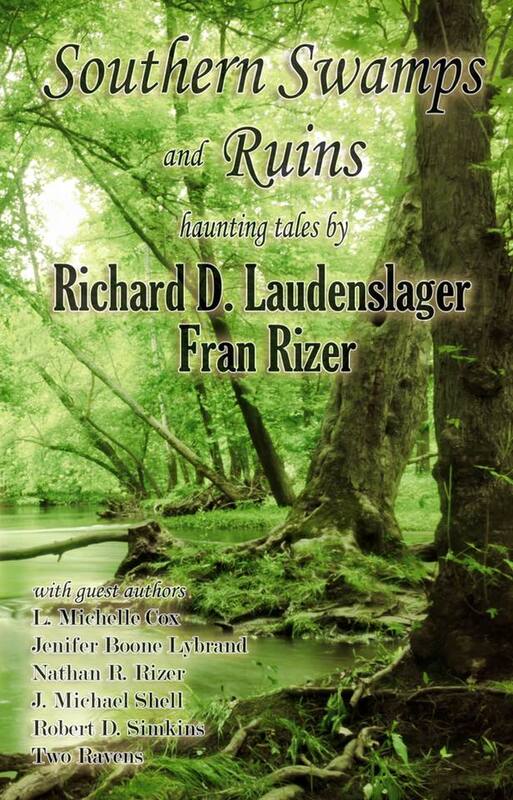 And that, my SleuthSayer friends, is how Fran Rizer and Richard D. Laudenslager became collaborators resulting in Southern Swamps and Ruins, which was published by Odyssey South and released March 1, 2016. Please don't think I'm preaching. (My sons are laughing at the very thought of that.) I just want you to know that paying it forward can be more than picking up the tab for the quarter-pounder ordered by the person next in line. Sometimes it boomerangs–leading to good things for everyone. Special thanks to Art Taylor for allowing me to use his spot today. That's another form of paying it forward. And until we meet again … please take care of YOU. Fran, it’s nice to catch up with all your activities. I met Gwen and she was kind, gracious, and generous to me. Quite a lady. I’m glad to hear about Rick, Rod, Nathan, and Adam, and that another Callie is on the horizon. Well done! Thanks, Leigh. Both of the Hunters are genuinely good people. 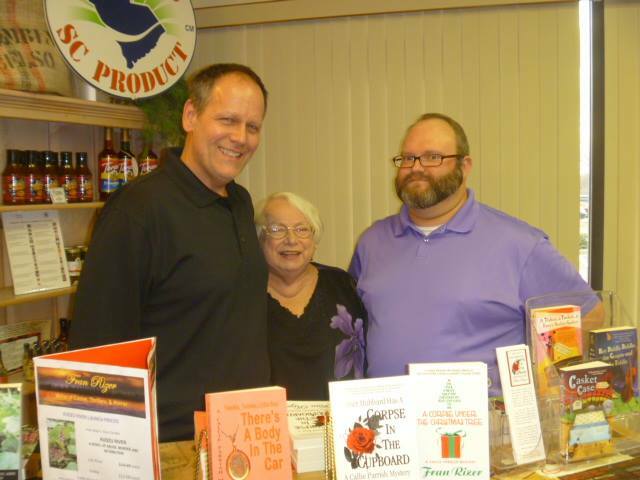 Rod Hunter's publication company, Bella Rosa Books, published three of the Callie Parrish books. His wife, Gwen or Faith, depending on the genre, is a true gem in writing and as a lady. Wonderful news on several fronts, Fran! The release of both books is eagerly awaited by all your fans! As you know, I'm a Callie fan and also love a good ghost story. I can't wait to read both. Lovely post, by the way. You seem to have surrounded yourself with some very kind and caring people. You deserve them. Best of luck with both releases! Very best of luck with both Callie's adventures and Southern Swamps & Ruins - love the title! It is always good to hear from you again. So glad to have you guest-posting today and so much enjoyed the essay itself! Great perspectives here about writing and the writing community. Best of luck ahead! Fran, it's always fun to read your columns--nice to see you here again. Looking forward to Callie's latest adventure. Best of luck! Pay it forward: that's what my mentor in the 90s told me to do. He's dead now. And a great guy he was. Helping young writers...teaching, mentoring...definitely inspires me. It also helps me to appreciate how far I've come, and how lucky I've been to have met kind authors who helped me along the way. Thanks for all you do and have done for others, Fran! Paying it forward is the only way we can all grow together. You wouldn't remember with all that was going on, but I met you many years ago at a signing. I love your Callie books and look forward to the others. Thanks to each of you for your kind comments. I wasn't able to respond individually because I had an early doctor's appointment that wound up lasting half a day. I hope we all continue to mentor and to be mentored. I confess that I still have a lot to learn. Have a great weekend. This is my a request to take-off any and all content text with the name Sandra Karwel and Sondra Karwel. If you do not removed, you will be contacted with a Tort Letter with an intent to sue both in Federal and State. You will be added to my Federal Lawsuit as an agent of the City of Palm Bay. And sued in the State of Florida for libel. You have made false statements and is libelous. I suggest you check your statements. If you have any questions you may contact my three attorneys.